There are times when we as doctors face rare problems that require very special expertise. For example I recently saw a patient who had been diagnosed with very early uterine cancer. She had come to our clinic because she wanted to have a baby and needed to understand what all her fertility options were. Her oncologist had referred her to us as he knew that she was bent on having a baby and wanted a second opinion from an IVF specialist. Typically, in this kind of a case, the standard approach would be to advice a hysterectomy. Most doctors would recommend that the cancer be removed as this would prevent it from spreading and it would safeguard the patient’s health. In a way, the doctor would also do this to save his own reputation, since this is just the standard, textbook advice. Very few doctors would make an attempt to actually stretch their boundaries to look for a favorable solution for the patient. But this solution isn’t what the patient wanted and she was desperate; this is also why I felt that it would be good for her to try an innovative approach. It would probably offer her a chance of getting pregnant. However, before this, I explained to her that she would have to gather information about the different options open to her- standard as well as non-standard. It was important that she become an expert on her disease as well as her fertility options. Of course this was a pretty tall order, however she would have to research all possible options and then make a well-informed decision about what she felt was right for her. The best way to accomplish this would be that she document her research, along with all the insights from her oncologist and me. This would ensure that she had 100% freedom in deciding which treatment path was best for her, and her doctors wouldn’t have to fear a possible lawsuit. This is because their opinion as well as her informed consent on this would be well documented. It’s very simple – when patients show their willingness to go the extra mile, it won’t be difficult for them to find doctors who will also be willing to provide “out-of-the-box” solutions for their rare problems. Unfortunately, rare is the doctor in India who is willing to take this approach. Most just prefer adopting a paternalistic approach. The way they look at it is that patients come to them with their problems as they are the medical experts and because it’s their job to provide the patients solutions. And so, with a very reined-in approach, they tend to provide just one simple solution without looking at other possibilities. 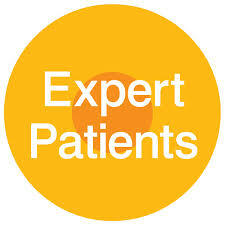 They categorically tell the patient that she can either accept their approach or go elsewhere. Sure, this is a straightforward way to go about things that also works pretty well for a number of doctors. But it’s not one I’m comfortable with myself; that’s because it doesn’t give the patient any scope to play a role and take a decision in this complex situation that will affect the rest of her life. I feel it’s very important that expert patients take the extra time as well as the trouble to understand what their options are and research them well. For them, the reward will be that regardless of the outcome, they have peace of mind that they did their best. Do you have an uncommon fertility issue? I'll be happy to provide a second opinion. Please send me your medical details by filling in the form at www.drmalpani.com/free-second-opinion so that I can guide you !